El progreso, fundamento del bienestar general, es obra de los pueblos y resultado de la riqueza justamente distribuida. Progress, the foundation of general well-being, is the work of the people & the result of equal distribution of wealth. Pedro Aramburu became the de facto President after the Revolución Libertadora & the brief, 50-day term of Eduardo Lonardi. He governed from 1955 to 1958. Democracy returned after Aramburu left office, but the political & economic situation in Argentina was a disaster in the 1960’s. 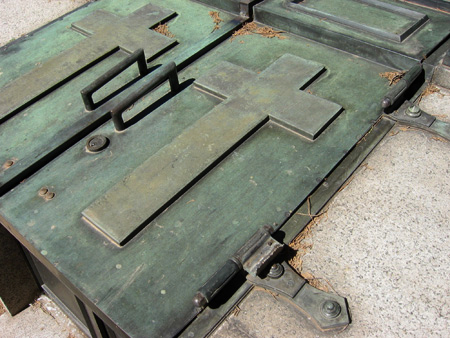 Periods of military rule alternated with democratically elected leaders like a revolving door. Aramburu even ran unsuccessfully for President in 1963… fate had something else planned for him. 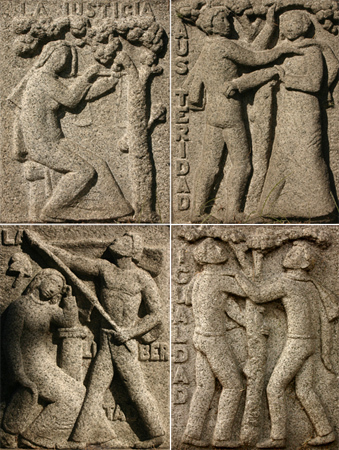 An organization known as the Montoneros formed in the late 1960’s as a Catholic, pro-Perón paramilitary group. Perón backed their terrorist actions… at least while he remained in Spain. In their very first public act—the Montonero debut on the political scene—they kidnapped Aramburu from his Barrio Norte apartment (Montevideo 1053, original building now demolished, a supermarket built in its place). Disguised as fellow military personnel & claiming the need to take him to a safe haven, in reality they questioned him about the location of Eva’s remains & held him responsible for anti-Perón actions while in office. Aramburu revealed nothing about Eva & paid a heavy price. 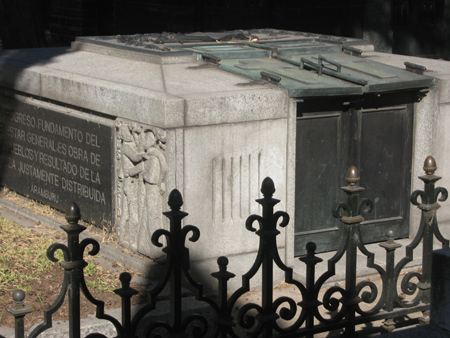 He was shot & left dead in a field in 1970, to be buried later in Recoleta Cemetery. 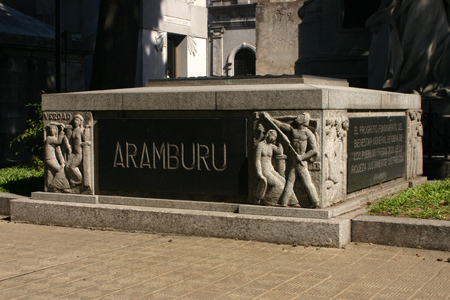 Aramburu’s corpse was stolen from Recoleta Cemetery in 1974 by the same group who murdered him & later recovered by authorities near Parque Las Heras. For the rest of the story, read “The Return of Aramburu“… truth is definitely stranger than fiction.